London Days: The Card Concept #59. Are you ready for our new challenge at The Card Concept? We have a yummy photo for you. When I first saw this photo I wanted to just go with splatters but decided to use this ice cream cone that has never been inked before. Plus I actually used copics. I really went with a completely different idea! You can create in any style you want and if you want to combine a few styles-go ahead. Here is how we define out styles. Our Guest Designer for this challenge is the fabulous and inspiring Julia She has created a classy and elegant card for us. Check out Julia's and all the DT cards here and then get inky! This is SO cute, Sandie! I love those tiny cones! I like that you used purple ink for stamping. And look at you coloring! Cute! OH, this is so delicious looking. Now, I want ice cream! 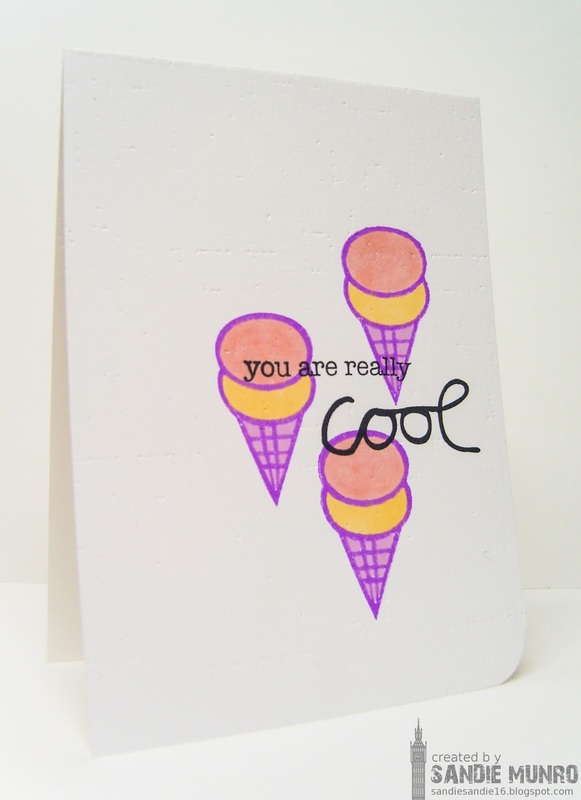 I love your trio of cones!Fun sentiment too! Too cute. Love that trio of ice cream cones! Such a gorgeous CAS take on the challenge Sandie. The sentiment is so perfect! 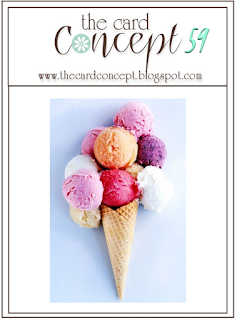 Love those cute little ice cream cones!